Demonstrate knowledge of how to accurately gather clinically driven patient assessment information related to functional ability of the client and appropriately apply it to OASIS items specific to self-care and functional mobility by passing final exam with score of 80% or higher at the end of the on-line learning activity. 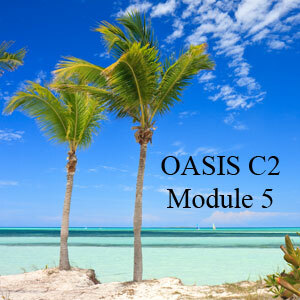 This module provides the home care professional with the knowledge to gather the appropriate assessment information related to the functional ability of the client and appropriately apply it to OASIS items specific to self-care and functional mobility. Describe the key components necessary for a comprehensive assessment. Define key terms related to functional assessment. Assess patient then apply information correctly to OASIS items specific to functional mobility. Assess patient then apply information correctly to OASIS items specific to self-care issues.